The Cobra King F6 hybrids were designed with a sole weight that maximizes a low CG location and delivers a high MOI to deliver increased distance with forgiveness on all shots. 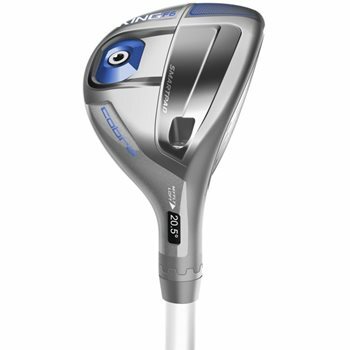 It features Speed Channel Face Technology to further increase ball speeds and create a larger sweet spot. The MyFly8 Technology with SmartPad allows custom loft and trajectory settings for all player types.